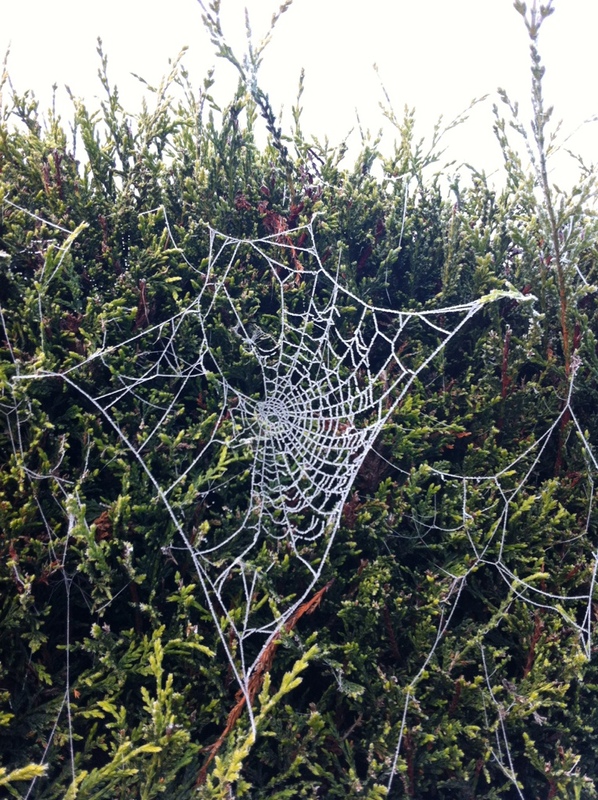 Overnight a local hedge has been hung about with spiders’ webs perfectly coated in a delicate layer of frost. They are all near the top of the hedge and look like the most elegant Christmas decorations. These are incredible! They look as if they were crocheted… and were laid there by the anonymous artists who are prone to public “crochet bombing.” Thanks for this image.